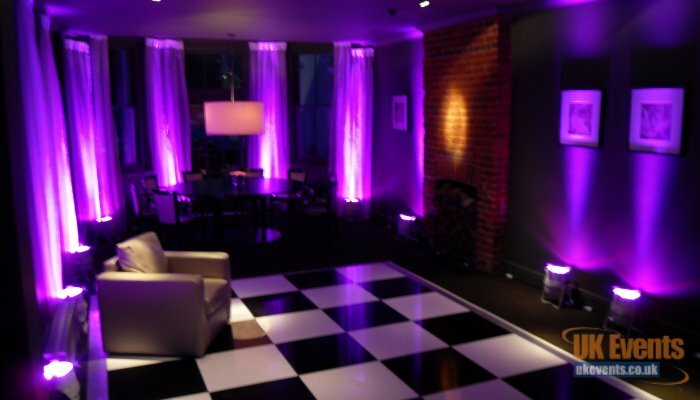 At UK Events we specialise in room enhancing products. We offer vibrant light up furniture which will compliment other products we offer adding colour to your function room or marquee space. Choose from light up poseur tables and LED cube seats if you wish to add more seating or casual table space. Our range of portable bar are practical as well as aesthetically pleasing. We offer mirrored bars, Light up bars and fully animated bars, offering variety and flexibly for any event you may wish to host. Our Animated bar is perfect for use as a mobile bar but also other applications such as an advertising stand or DJ booth to name just a couple. We can stream effects, logos and animations during your event. The Animated bar is in total 4m circular but can be made smaller due to each section measuring 1.5 metres. 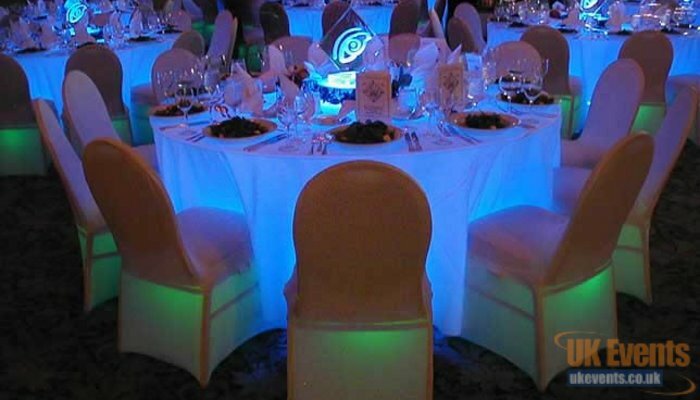 Our Beautiful LED Banquet tables will light up your function room. We can set the Banquet tables to any colour you require, offing a bespoke colour scheme to your event. 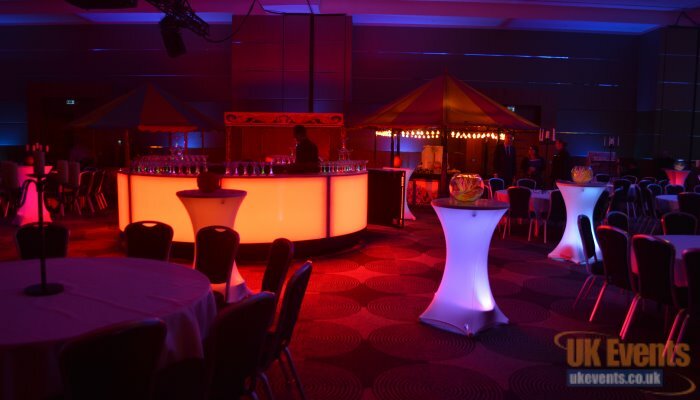 Our illuminated Cocktails bars are available in straight and curved sections. 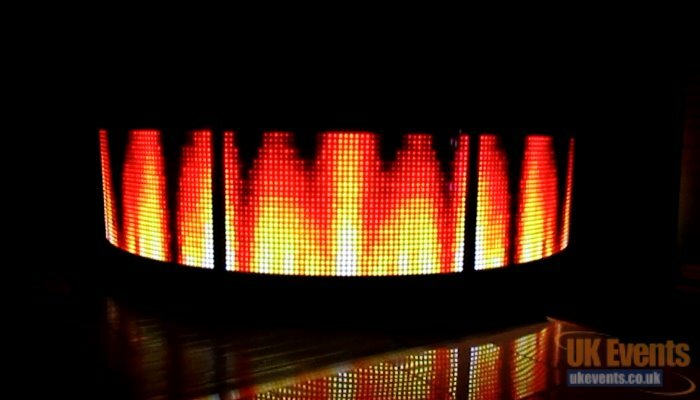 We offer our bars in 1.5 metre sections and can achieve a full circular light up bar in any colour you require. Create vibrant seating with our colour changing LED Cube seats. 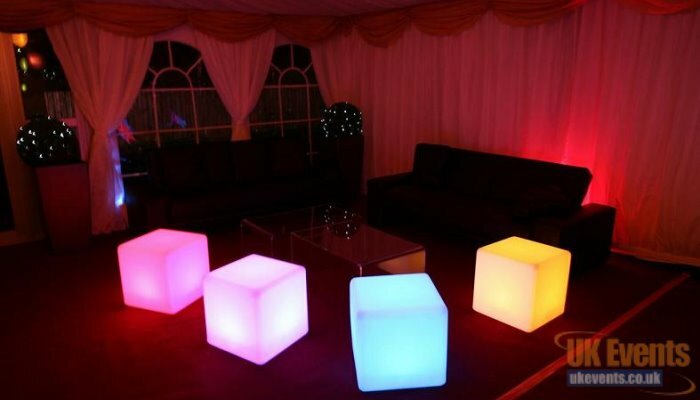 You can set the cubes to a solid colour or have them scroll through various colours during your event. LED poseur tables add a touch of colour and class to any function space. Select a colour or have them scrolling through an array of colours. 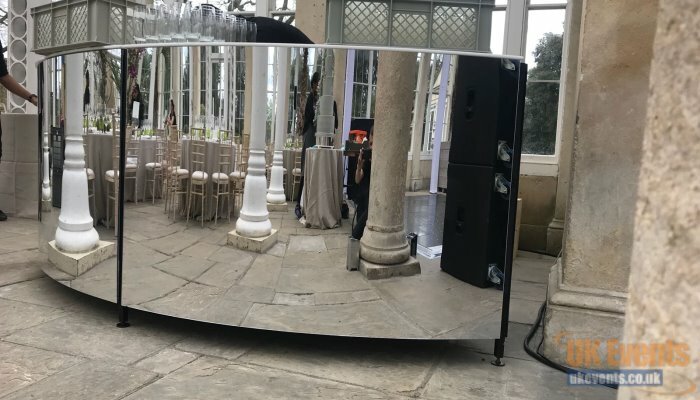 Our Mirrored bar is available in 1.5 metre sections and can be made up to a 4m circular configuration. The bar comes complete with selves and a solid serving top. Relax with our soft seating. 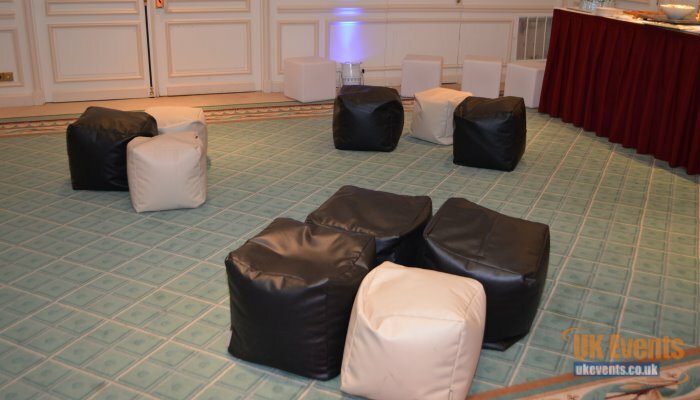 We offer giant bean bags and cube seats to add some comfort and casual seating to your event. 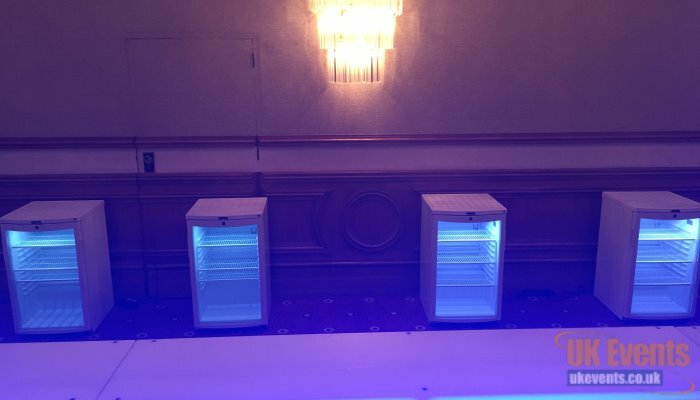 We offer fridges and freezer for temporary events across the UK. These are perfect to hire alongside our mobile cocktail bars. 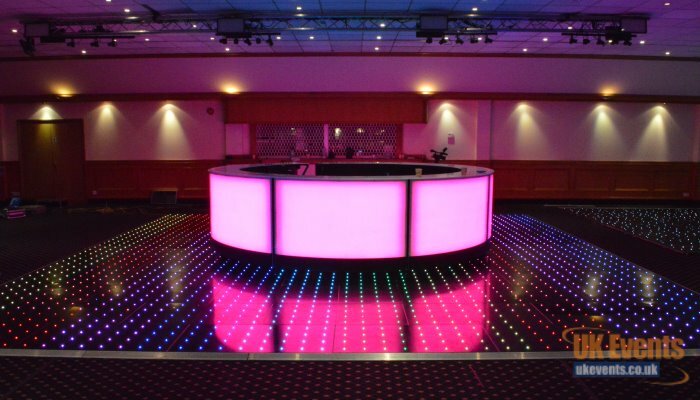 Add some colour to your venue with our led uplighters. we have plug in versions and stand alone battery operated units allowing you to add colour anywhere you desire without the worry of finding power sockets.